The truth is, link building will always matter in some form, and if you have a ‘healthy’ website, yes, you should be link building. Backlinks have been (and likely always will be) an important ranking signal for Google. Link building as a service goes above and beyond links. The very nature of securing links forces us to strive for a well-rounded, balanced marketing campaign. As simple as it sounds, links are one of the primary tools that help people find you and your brand online. What link building looks like today? A link (aka a hyperlink) directs you from one web page to another web page. Google’s algorithms take into account more than 200 factors to return results for various search terms, phrases, and questions. However, one of the top two factors is links. Ranking on the first page of the search engine results pages (SERPs) for terms related to your business is imperative in good marketing, as few people will look for information past page 1 of SERPs. By going out and building links to your key conversion pages, you can send positive organic signals to Google for those URLs, which in turn can improve those pages’ rankings. This is the goal of targeted link acquisition. It is vital to understand how we got here. The late 90’s and 2000’s was a mish-mash of blog/directory networks, link farms, spammy content, and paid links, all which are generally frowned upon due to the misleading nature of each tactic. At the time, Google had little qualifiers to distinguish between good and bad links --all links mattered, which led to bad links being abused. In 2012, Google’s Penguin algorithm dropped, affecting millions of search queries and websites. Penguin identified many of the bad links and essentially penalized websites for them. People were no longer able to use shortcuts to build their links, and SEOs turned to content marketing as the solution. “Guest blogging” (if you can call it that) generally entailed people building nonsensical content stuffed with keywords linking back to their website, and then having it published on article directories. The production of editorial content took over, which eventually led us spiraling to the decay and fall of guest blogging for SEO. It’s not a stretch to say that up until that moment, most, if not all, link building revolved around people helping themselves and their brand, and not the end user. Coming back from the content crisis of 2014, ‘content marketing’ (as seen through the lens of rose colored, better, SEO glasses) and “link earning” via content marketing became the go-to strategy. It turns out that just building content alone isn’t enough. You still need to manually promote it. Although it has been suggested multiple times that content marketing essentially replaces link building; this is not true, they are however, closely related. Today, almost all link building encompasses one thing: relationship building. Regardless of the method you use to garner links, each tactic requires an honest effort at building a connection with the person on the other end of the website and computer. Generally this happens via email, but could also be a DM/tweet, comment, a phone call, even a physical letter or in-person conversation. The first step in building links is to identify what link opportunities are in your niche that are specific to your business and website. Create valuable content as needed. Start off by determining what pages you already have that could be ‘linkable’. This can range from using brand equity or leveraging content you already have (whether it is a blog post, resource guide, video, infographic, or other) to even building new content. Tools such as Buzzsumo and Majestic will help you figure out what types of content your target audience finds useful and unique. Cross reference popular content you currently have that garners links already in order to drill down to what is working best for you. Once you’ve identified these topics and potential assets, make them as valuable as possible by updating the content, expanding on the content, or tackling the topic from a new angle. This involves more research on your end, but is essential for identifying potential link opportunities. First look at where your competitors are acquiring links, then determine who in your industry is talking about you, and finally find pages where people are looking for your product/services/information. This will give you a list of potential sites. While pulling together this list, make sure these are quality sites that real people use and engage on. Again, think relationship building - if there isn’t a person on the other end of the computer, who are you going to build a relationship with? Once you have a list of people and quality websites to target, get organized. At Page One Power we use Buzzstream to manage our outreach campaigns, but a similar tool, or spreadsheets, can also get the job done. Organization is key throughout this process regardless of how you do it. Here is where you get to manually outreach to the sites you determined to be potential partners. Because manual link building forces you to personalize each email, which results in genuine outreach, and ideally, more meaningful relationships. The stronger your relationships are, the more you can get out of link building. If you do decide to streamline the process and automate your link acquisition, make sure your templates include a value add, a unique subject line, and a little bit about you (more than just your contact info). Once you are in communication with editors, webmasters, and the like, cultivate those relationships. A long lasting relationship doesn’t stand a chance if you don’t reach out to them, wish them well, and work with them in a manner that isn’t just for links. Moving into 2017, continue to build relationships while keeping in mind SEO basics to improve your link building strategies. Relationship building is a theme you should keep in mind when approaching each tactic to find opportunities online. You should make sure you’re not pursuing links with any singular tactic. Content will continue to be a fantastic avenue for opportunities, but targeting links lists, finding broken link opportunities, 404 reclamation opportunities, and other community engagement tactics (forum link building) are all a sure fire way to build a robust backlink profile and strong link building campaign. Link building is a part of SEO. On-page and technical SEO and link building are contingent upon each other. You could do one without the other, but you’ll never secure search engine rankings without links. Links are a critical signal to search engines that a web page is relevant and valuable. Manual link building remains an important part of overall SEM, and marketing in general. People continue to use links to navigate the web, and that is not going to change. By ignoring and not taking into consideration links, you are missing out on a valuable online marketing strategy. 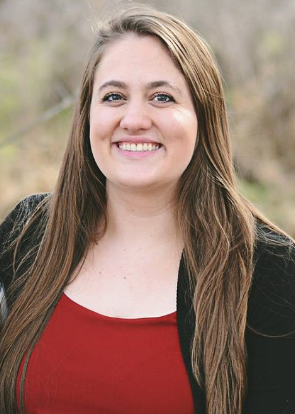 Danica Barnack is a Department Head at Page One Power. 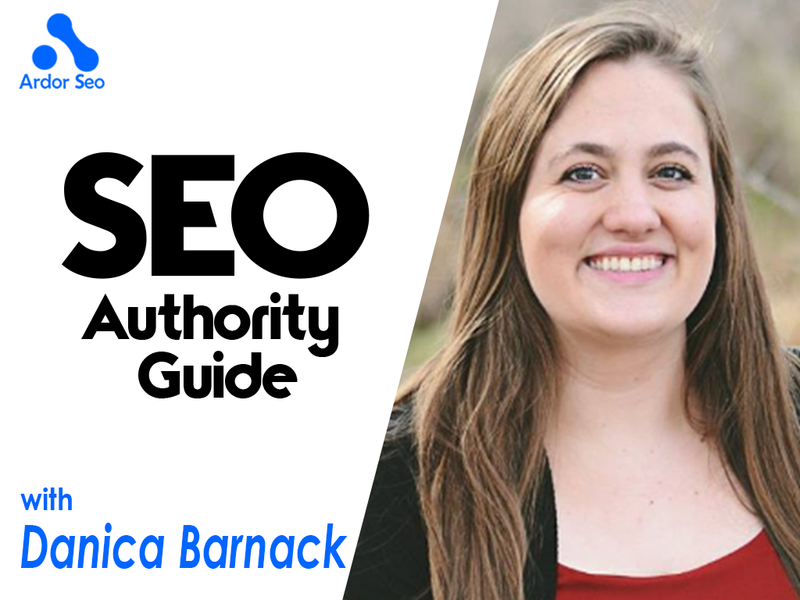 As an SEO Specialist, Danica explores the ever-changing and exciting SEO industry on a daily basis. When she’s not reading up on industry news or working with her team, you’ll find her traveling abroad or trying local Idaho craft beers. Danica also has an embarrassing number of photos on her phone of her 2 cats, Bruno and Rambo, and her puppy, Teddy.